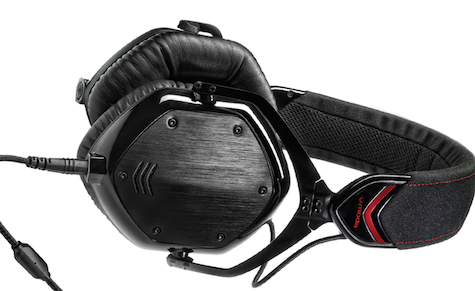 If I had to describe a quality headphone, it would be the V-Moda M-100. When I first received this product I was in awe of how well the packaging and headphone were put together, just as I was with the V-Moda LP2. I feel a sense of quality when I come in contact with V-Moda’s products. When I opened up the V-Moda M-100 headphones I was presented with a zippered shell casing that cradled the headphones along with the two different styled cables that are included. One of the cables (SpeakEasy Mic Cable) is a standard orange cable that has a built in microphone and sound controls, while the other was a black cable (SharePlay Cable) that included a port for another headphone to be attached. I personally liked the the SharePlay cable better because it was less flashy than the orange cable and I could easily share my music with any 3.5mm headphone. This headphone is out of this world when it comes to the quality of sound. When I place the V-Moda M-100’s on my head and play a song I feel wrapped in the music. I don’t even notice the headphone after wearing them for a couple of minutes. I feel like I’m in a professional studio with the band playing live with their best equipment. It’s a music experience like no other, and I’m not the only one to think this. I let my entire family take the headphones for a spin and they were just as surprised as I that such a low-profile designed headphone could put out the quality sound that it did. One con I have to using these headphones with all the stock gear it comes with is how uncomfortable the edges of my ears get after a couple hours of use. Fortunately V-Moda provided me with the thicker replacement ear cushions that make the ear units even more comfortable and make the irritation on the edge of my ear disappear, even with continuous use. The only downside to these cushions is that they make the headphone stick out from your head a little farther. If you are wanting the extra memory foam cushion accessory, it is available from V-Moda on their site. My favorite features that are built into the V-Moda M-100 are the low profile design when wearing the headphone and also the way you can store your headphone. 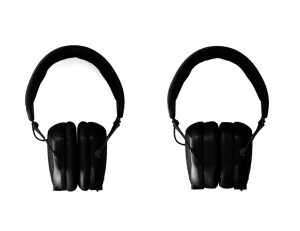 Unlike the V-Moda LP2’s, you can push in the earphone and condense the headphone for a more portable and easy to carry professional DJ headphone. If I were able to rate these headphones higher on our MyMac scale I would, but for now I will rate these headphones 9 out of 10 for MyMac review. My favorite is the M100 – I have the pearl white and matte black both. I call it the king of headphones, since if I were a knight going off to battle, it would be the headphone to wear.